When your boyfriend finally pops the question, you can know one thing for sure: you are about to have an overwhelming amount of parties. The engagement period is full of celebrations, like the engagement party, bridal showers, and bachelorette parties, eventually followed by the actual wedding and reception. Enjoy it as much as you can, because you don’t get to be praised forever! As the maid of honor, one of your jobs will be to arrange the bridal shower. The bridal shower is typically an intimate reception with the bride’s closest female friends and family members, where the bride receives gifts. Whether you go for a small, intimate bridal shower or a large celebration, Mirage Banquet Halls has excellent facilities to host the event. Mirage’s Los Angeles wedding venues are absolutely spectacular. If you are looking for a banquet or reception hall to hold your wedding reception, bridal shower, or engagement party, we have all of the luxuries to make the event unforgettable. 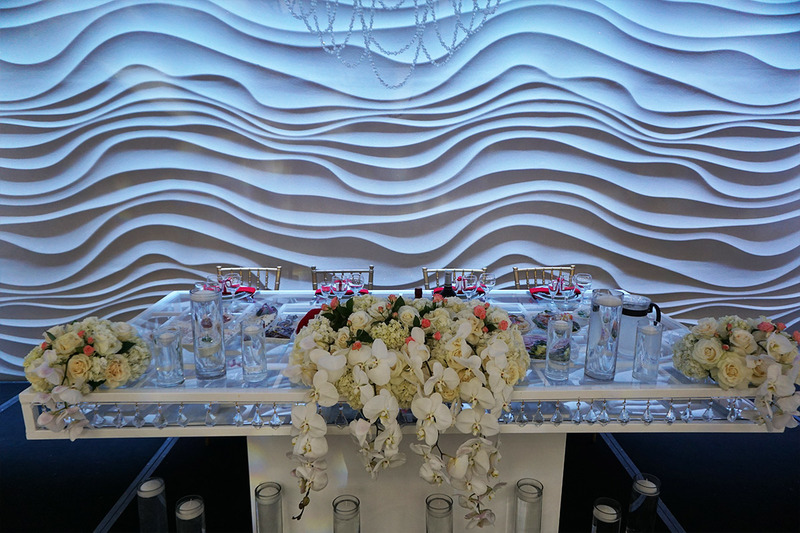 Of all the Los Angeles wedding venues, you can’t ask for more than Mirage has to offer. Our staff is extremely helpful and will answer all of your questions. We will accommodate you in planning the bridal showers, decorating and any other way we can. Contact us if you need any more details or would like to schedule a tour of the banquet hall. The Mirage XO Lounge is ideal for an intimate bridal shower. It is smaller than the banquet hall, but not too constricted. You can still invite a substantial amount of your friends and family members to enjoy this important day. Remember, the more people you invite, the more gifts you receive! But bridal showers are for more than picking up fun and practical gifts, they are also about sharing the excitement of your engagement and upcoming wedding with your loved ones. Make sure to embrace the older aunts and grandmother and heed the advice they bestow upon you. They have been married for years and have some very wise lessons to share. Mirage’s XO Lounge is a hip place to hold a bridal shower. You will love the intimacy and atmosphere as you celebrate your coming nuptials.